Save even more on our everyday low prices by taking advantage of our amazing offers. But hurry, these offers are for a limited time only! Check back regularly to see our latest offers or feel free to contact us to discuss discounts on large quantity orders. System* when you buy your graphic panels. 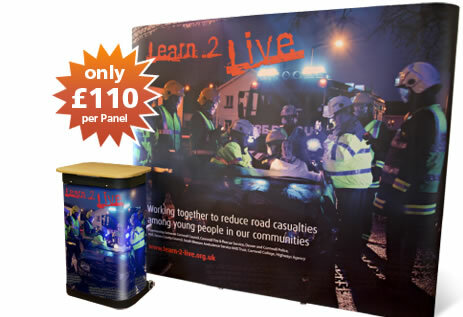 Our most popular accessories are the graphic wrap and laminate top that converts a pop-up case into a display plinth or work station. The graphic wrap compliments the pop-up graphic whilst our bespoke made furniture quality top is the perfect finish. 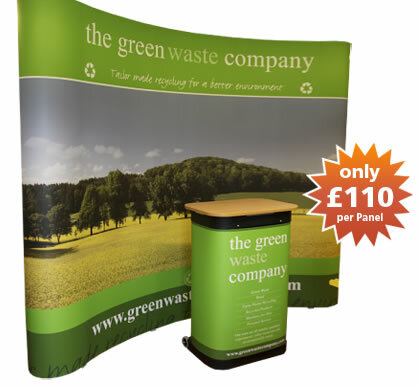 * Offer available on all 3x3, 4x3 and 5x3 Pop Up Systems. Carriage charges will be extra.